Director Rian Johnson kept a lot of ideas and plot elements out of Star Wars: The Last Jedi, including Luke Skywalker’s reported third lesson for Rey, Supreme Leader Snoke’s origins, and that time a porg sliced its head open with a lightsaber. One of the more curious ones, involving the Knights of Ren, was because Johnson figured they’d probably die under his watch. We’re pretty sure most of you have seen the film by now, but just in case, spoilers ahead. 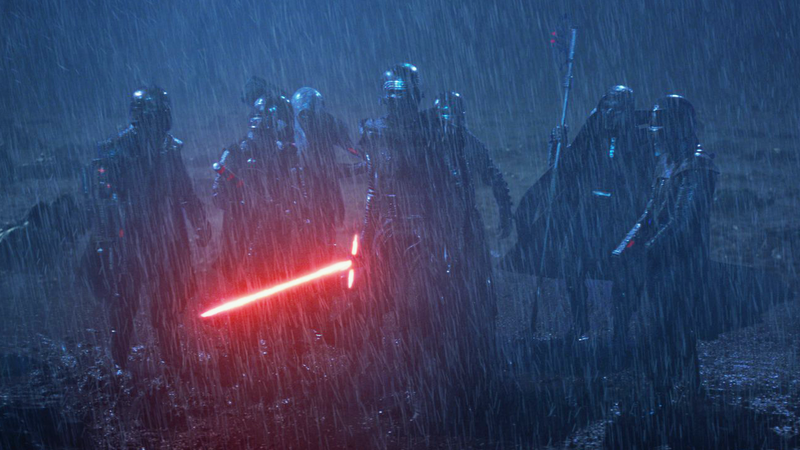 In Star Wars: The Force Awakens, we got a teaser for Kylo Ren’s team of Sith wannabes, the Knights of Ren. Several fans figured Kylo’s posse would play a big role in The Last Jedi. But lo and behold, apart from that one scene where Luke explained the tragedy that had befallen him and Ben Solo, the Knights of Ren were nowhere to be found. In an interview on the Empire podcast, Johnson explained his reasoning: the movie was already stuffed to the brim with plots and characters, and he didn’t really have anything for the Knights of Ren to do. Besides, the most likely option he saw would’ve resulted in their premature deaths. I guess I could’ve used them in place of the Praetorian guards but then it would feel like wasting them because all those guards had to die. And if Kylo had some kind of connection to them it would’ve added a complication that wouldn’t have helped the scene… Truth is, I just didn’t see a place for them in the movie. Johnson is referring, of course, to the epic (albeit temporary) team-up of Kylo Ren and Rey, before Kylo showed his true meanie colors. And now that Kylo Ren has emerged as the new Supreme Leader, this does leave room for J.J. Abrams to bring the Knights of Ren into the fold in Episode IX. They could be his inner circle, or perhaps they’re working in the Outer Rim spreading the First Order’s mission to the edges of the galaxy. The space door is wide open. Where Are The Knights of Ren?